April 11, 2019 (Last Updated: April 1, 2019) - As an Amazon Associate I earn from qualifying purchases. 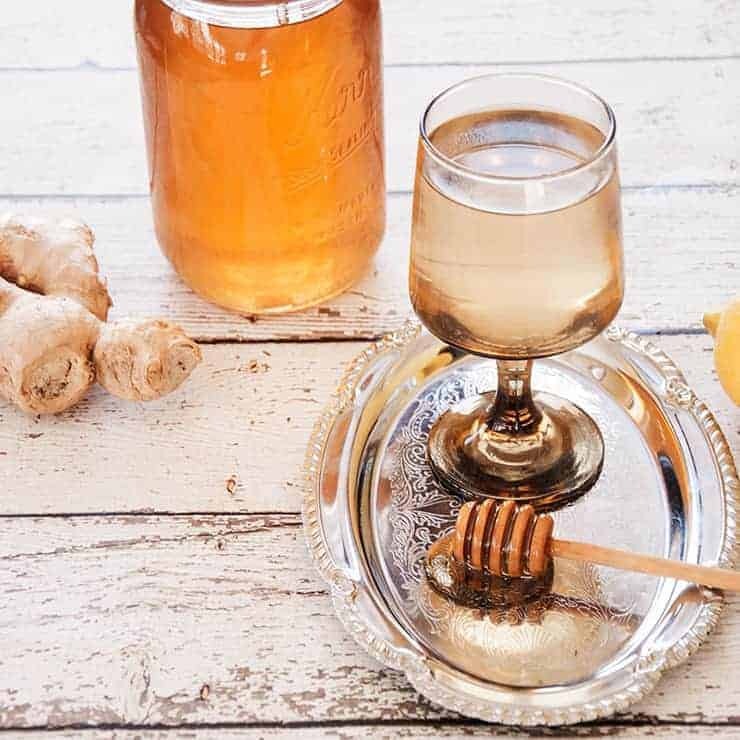 I feel that getting enough sleep is one of the most important things a person can do to stay healthy and today I am going to share a simple Homemade Ginger Tea recipe that helps me get that done. As a recipe developer, I often explore new recipes, but it is always fun to be able to share the recipes I use on the regular. 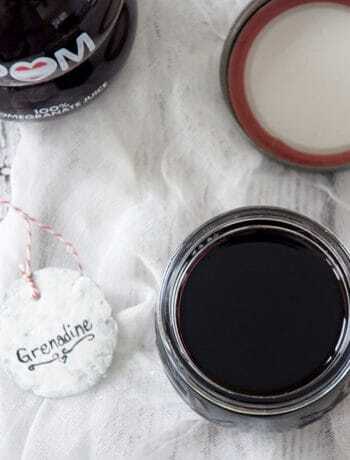 This is a super easy recipe and really helps me wind down at night. 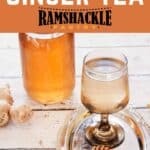 How Does This Homemade Ginger Tea Help Sleep? Ginger has properties that help treat nausea and aid in digestive health. It also has properties that lend itself to reducing muscle pain after workouts. Because I spend so much time eating all of these fabulous foods, I do need to make sure to get to the gym and I can sometimes end up sore. Getting a dose of ginger before bed can help with both my soreness and assist in digesting the delicious foods I make. This one is a bit of a mystery for me, but there is some evidence that honey aids in quality of sleep. 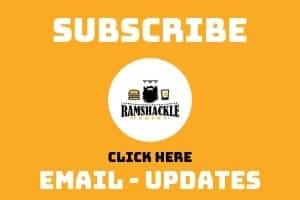 I found some anecdotal information that talks about honey and sleep. Personally, I tend to think that honey gives a brief boost to the system, but after that boost happens (by the time I am done reading a chapter or two), the body reacts by getting sleepy. For me, I have the added bonus of using honey I harvested from my own beehives. I look for ways to use this wonderful stuff that the tough little ladies share with me. Also, ever wonder what those honey dipping things are called that have been pictured here? They are called Honey Dippers and you can get them on Amazon. I do this for a few reasons. First, boiling honey may remove some of the health benefits of the product. Second, honey can ferment if it has water in it. 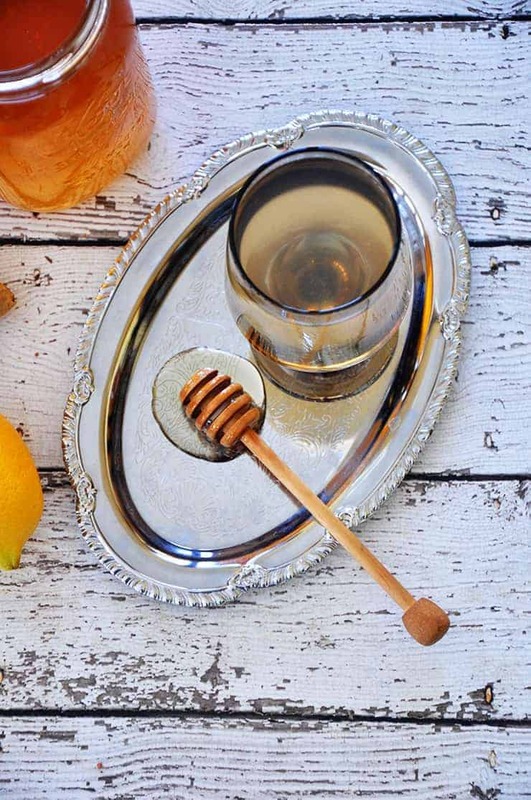 Without water, the honey will literally never go bad, but as soon as you give it too much water, the potential for fermentation to take place will happen. If you store it in the refrigerator, this won’t be as much of a problem, but I still just prefer to add it at the time I serve. 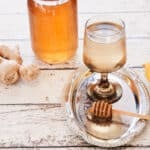 Really, this homemade ginger tea with honey is such a simple drink, but it really has become part of my nighttime ritual. When I combine it with other parts of my nightly habits, which include nightly reading and turning the phone off, can help make for a fantastic night of sleep. Do you have nighttime habits for sleeping you swear by? Let me know in the comments section below. If you like this drink, please share it on Pinterest and consider subscribing to get updates via email.